top coat | I love nice things! I have always preferred a super shiny finish to my nail polish, but I have now seen the light, and LOVE a matte finish! 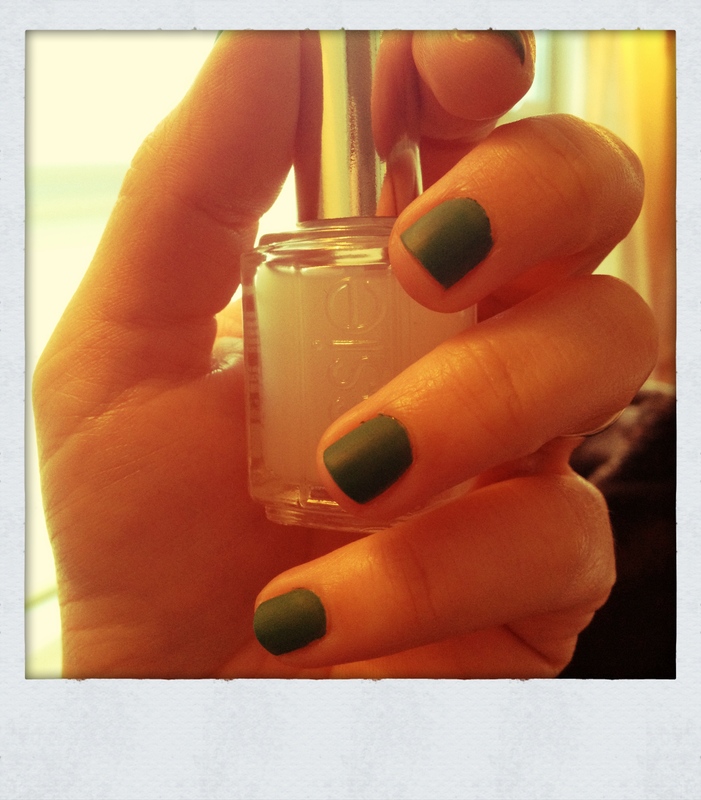 I have bought the Essie Matte about you mattifying top coat, and think it`s FANTASTIC! I like that it looks so different from all my other polishes, and that it brings new life to all of them. 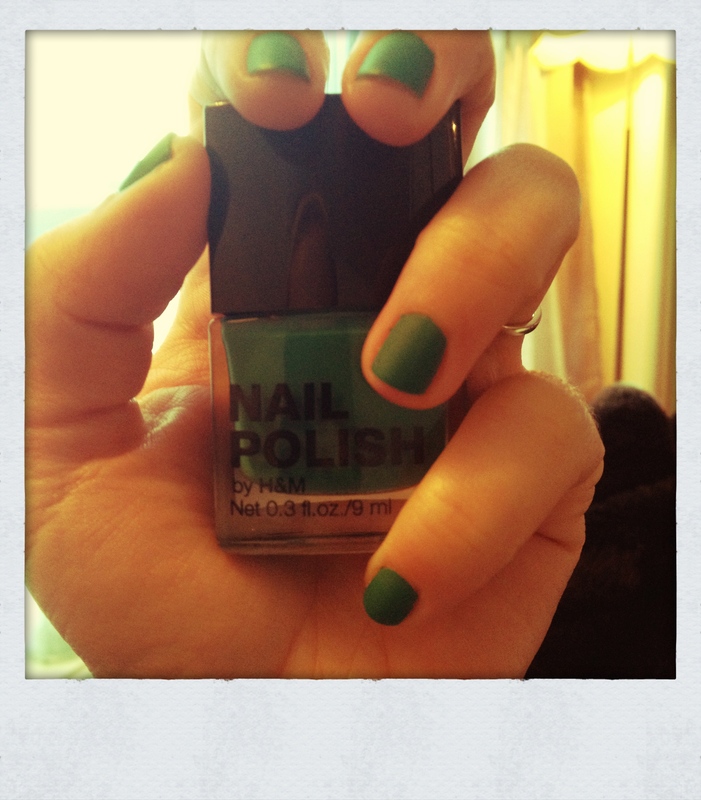 Today I used it over my green H&M Polish me Happy. The color is a bit dark, but there`s still kind of a winter thing going on here in Norway, so I think it`s ok. (The poor lighting and camera makes it look even darker than it really is…) Can`t wait to bring out the pinks, though. We are all hoping spring is right around the corner. It should be… We are ready! Come on! Oh, and I am super impressed with the H&M nail polishes. I think they are great, and I have a lot of their colors. They stay on for like a week without chipping (with a topcoat), and they are cheep! They also have a great selection of colors. Me likes!